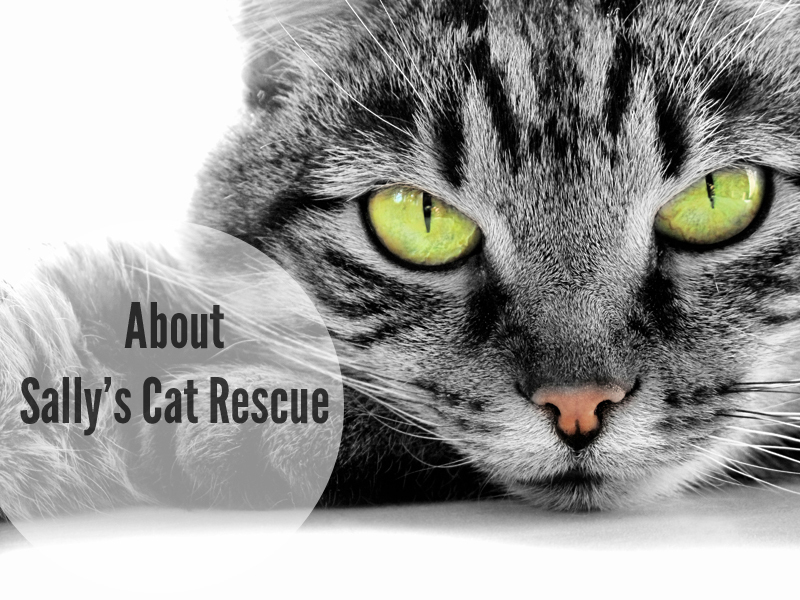 Sally’s Cat Rescue is located in St Austell, Cornwall. We are a local charity that rescues and re-homes abandoned, abused, homeless, pregnant, and young cats/kittens. We have three main Cat Cabins, which are usually full most of the time, and we also have three foster-carers in the local area. Our team consists of volunteers who give up their time and energy on a regular basis, helping with fundraising, and the running of our facebook page and group (yes we have one of each). Sally herself works full time, so is often most available during the evenings and weekends, and works tirelessly with all of the cats under her care. On this website you will get to meet the residents, report lost and found pets, and read about what happens to our furry friends once they find their forever homes. We are still building the website so some of the pages are still under construction. We welcome your feedback and comments on both the work we do, and this website. Hi. My son has been diagnosed with a condition which means he’ll be on immuno surpressent drugs for the rest of his life. We have three girl cats which use the litter tray and are constantly jumping on the work tops. Although I do my best I’m worried about him catching an infection. He recently spent 6 days in Treliske and is still quite poorly. I really need to home them as soon as possible. Would be so grateful for some help. They are lovely girls. My daughter is having to relocate to St Austell with her daughter and 2 cats (mother and deaf son) to get away from an abusive partner. She will be living on sofas with friends until she gets a flat. We need to find someone who can foster 1 or both cats for a few weeks from 23rd June as everyone she knows is allergic to cats. We can assist with the costs of fostering. Hope some kind person can help her. Looking for 2 cats,we live in a quite close and aithough we don’t have a cat flap that would not be a problem to install.I am disabled and live with my Carer. I am late 50s and my Carer mid 60s and we have both previously owned cats.We live in a council property but have made enquiries and permission would not be a problem. I am looking for two kittens. I live in a quiet estate in Penwithick and I have a cat flap. Do you have any available at the moment? We are about to purchase a new catflap.we have’nt had one since my partner lost his cat through old age(the cat not him). Many thanks Julie & Ron.